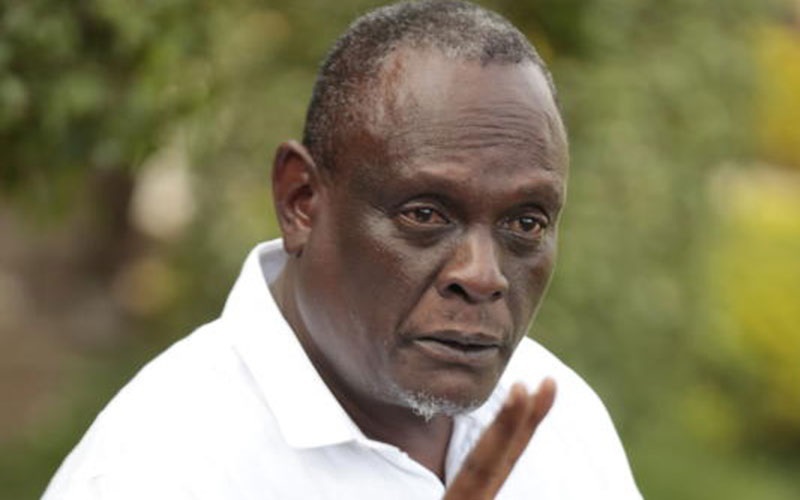 Tuesday April 16, 2019 - Former Gatanga MP, David Murathe, has once again attacked Deputy President William Ruto saying that he is not suitable to be President of Kenya once President Uhuru Kenyatta retires in 2022. Sharing his thoughts online on Tuesday, Murathe said Ruto should not succeed Uhuru because he is too selfish. The former Gatanga legislator noted that Ruto is not ready to sacrifice his personal welfare for the sake of serving poor Kenyans. He noted that citizens know that the country cannot achieve its prosperity dream if Ruto becomes the Head of State in 2022. “The reason why Kenyans will not support William Ruto for the top seat is because the chap is not ready to sacrifice his personal interest to prosper this country," reads part of Murathe post. Murathe said Ruto’s philosophy is self-enrichment and enjoyment of power with shameless disregard of Kenyans’ needs. “He pursues leadership for wealth and power only," he wrote. ignore this zombie T9 with rabies of state house. they guy is the second in command to the mungiki warlord in state house. T9, what have you give to any Kenyan for a start. get a life and lick the behind of your master as it's you brain power.